Someone made my day today. Who was he? The cabin steward on my British Airways flight home this evening. What did he do? He recognized me, remembered my name, greeted me by name and asked me if I was happy with the service I was getting from BA. Did he really remember my name or had some computer system flagged me up as a regular on that route and prompted him with my name and seat number? It's possible, maybe even probable. But even if it's true, it didn't feel like that. It felt like he was just a genuinely nice guy who wanted to make sure I was happy with the service I got. If I thought I could bottle that level of customer care and service, I'd be a wealthy man - it blew me away. It strikes me that many years ago every customer services experience might have felt that way. Customers dealt with local merchants and traders they knew and who knew them. They passed pleasantries and the small talk of the day. Today we deal with impersonal shop assistants and call centre operators and have lost that personal touch. 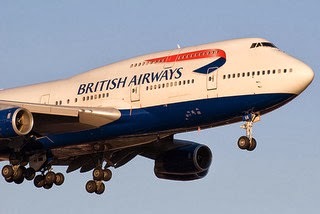 Well done British Airways from bringing a little of that back into the world.